Hey guys!! 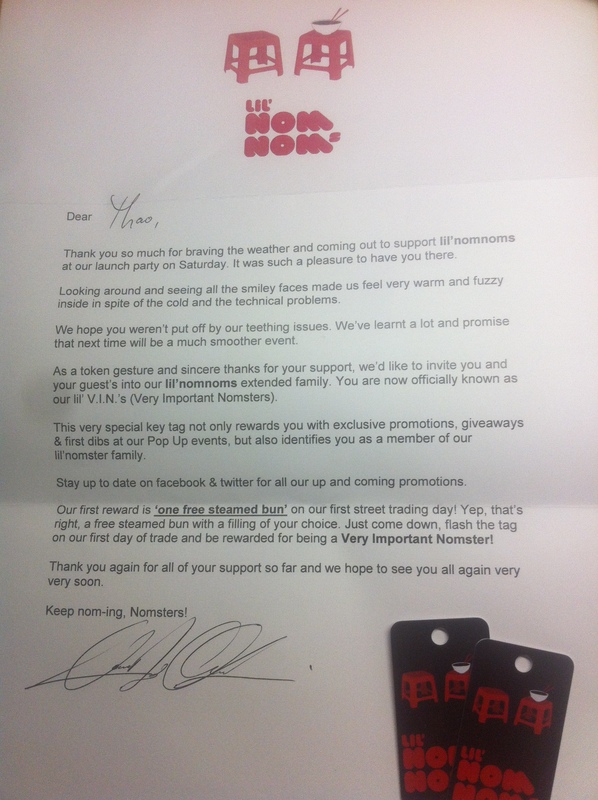 If you remember from an earlier post, I attended Lil’ Nomnoms’ Opening Day Lunch with A.T not too long ago. 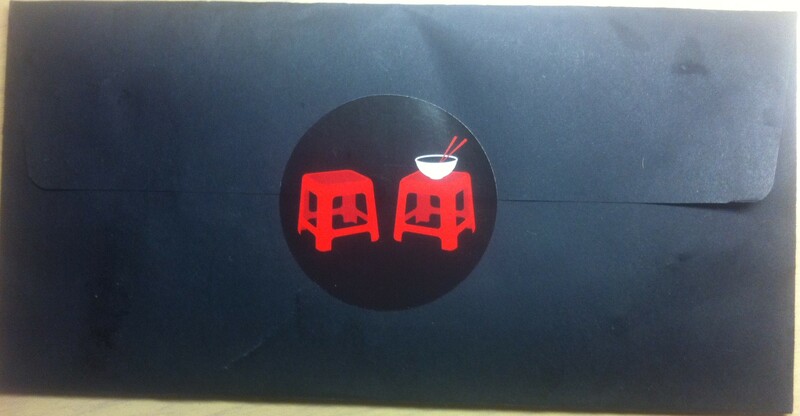 To my surprise, I received another mail from them, can you guess what’s inside the black envelope? Well inside was a letter, two business cards and two V.I.N (Very Important Nomster) key cards. This mail was to acknowledge our efforts in coming to their opening lunch, inviting us into their extended family and granting us the privilege of becoming a VIP customer, or in other words, Very Important Nomster (V.I.N). How awesome is that! I love the V.I.N name, it’s so cute and fits in perfectly with their concept! With the key card, we are given first preference on their pop up events, updates on their exclusive promotions and a free steamed bun on their first trading day!! My affection for them has just grown by multiples. I love how they really cater to their customers and make them feel special. I’m not sure if other food trucks have done the same in the past but it’s such a great idea; clever marketing! 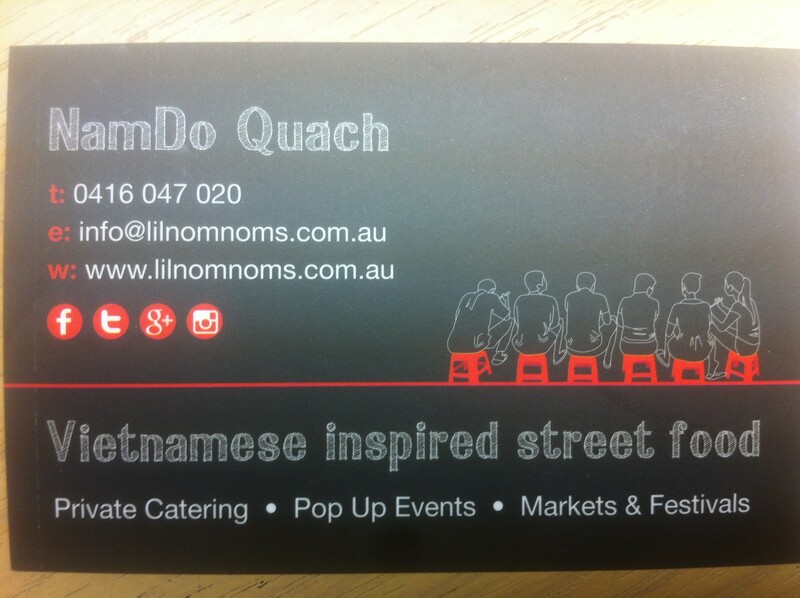 I am definitely coming to their first trading day and checking out their food, I recommend you try them out too! Come back next Tuesday for another post!